Tom Hanks is the gift that keeps on giving. The "Sully" actor, who is an outspoken critic of President Trump, sent an unexpected -- and useful! -- gift to the journalists working in the White House press room on Thursday. Steve Holland, who covers the White House for Reuters, revealed the move on Twitter. "Thankx to @tomhanks for the new coffee machine for the schlubs in the WH press room," he captioned a photo of a very shiny new espresso machine. In a follow-up tweet, Holland revealed what the accompanying note said that Hanks sent along with the gift. "To the White House Press Corps," it read. "Keep up the good fight for Truth, Justice and the American Way." "Especially the Truth part," it finished. "Tom Hanks." The note, which may or may not have been written on an actual typewriter, appears below a cartoon drawing of American soldiers. "Fresh, spirited American troops, flushed with victory, are bringing in thousands of hungry, ragged, battle-weary prisoners," the cartoon's caption said. 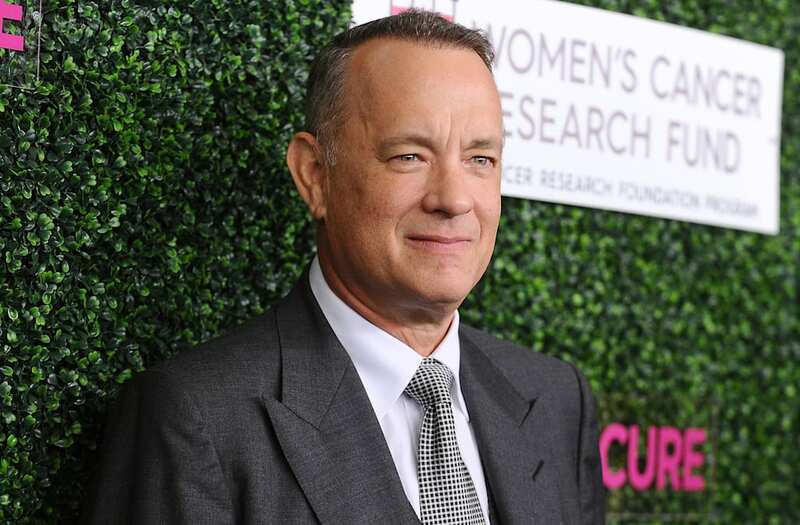 Hanks' gift comes amid growing animosity between the White House and the media. Just last week, press secretary Sean Spicer banned reporters from CNN, the New York Times, the Los Angeles Times, Politico and BuzzFeed from attending a non-televised press briefing.